The goal of freeES or Free Entertainment System is to be a cross platform 'virtual game console', that can play games written for it. 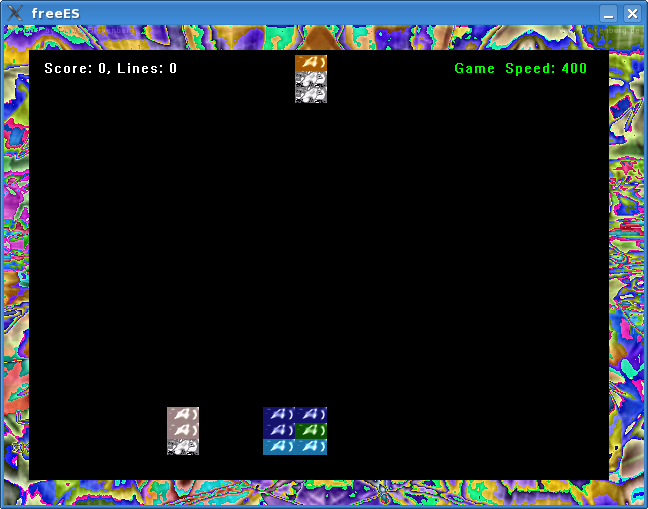 It includes a package management system,font rasterizer, and C++ plugin support for games. You can upgrade your system and update your dashboard online. This app is in very early stages of production. 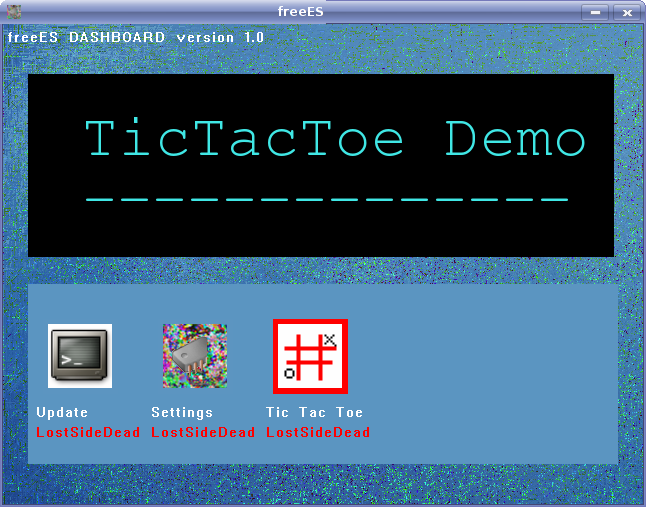 The base system is complete, now I need to write some games for it. 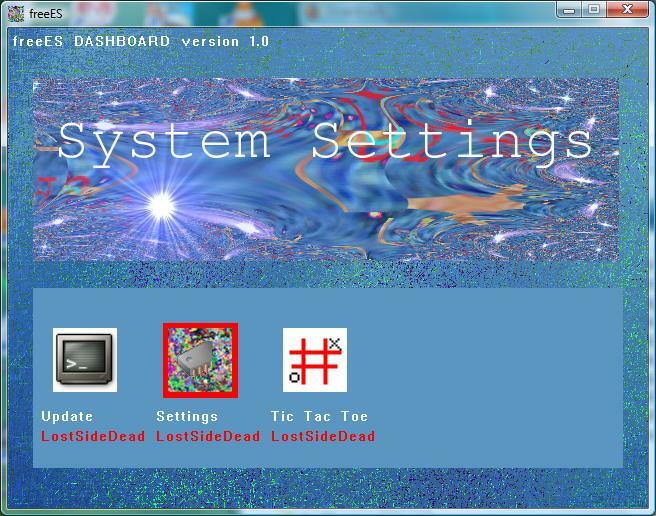 Also this is a beta so there are most likely bugs, if you find any please email me jared@lostsidedead.biz. Dash 1.0 - " version 1.0 of the freeES dashboard "
Update 1.0 - " a update tool to update the dash "
Settings 1.0 - " a settings tool to allow you to edit app settings "
*NEW* GUI Installer 1.0 - " a tool to install and remove mxp packages "
*NEW* Command Line 1.0 - " a command line where you type commands "
it needs to for the program. A screen shot of MasterPiece ES is below. or you can build your own from scratch. this will create a package of the application and a useable directory to try on your PS3. 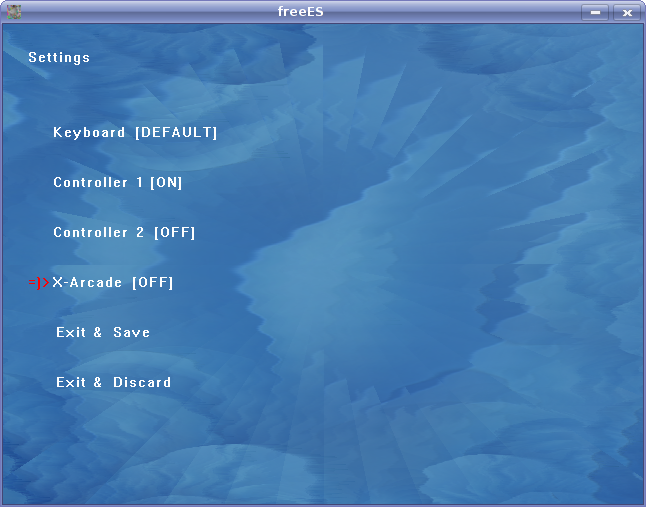 also updated the install script for freeES for the ps3 in the ps3linux section of the SVN. now will work with 2.6.23-ps3 as long as you do the above steps. build 0.6.1 for Windows XP/Vista is now available for download for those of you without the proper compilers. Comes with all available packages built in and the online module works unlike in 0.6 for win32. build script will most likely work for other platforms to. It also contains a example build, I compiled on my PS3 and tested. Heres a note for those who already have it compiled and want to run roadkill but its slow. 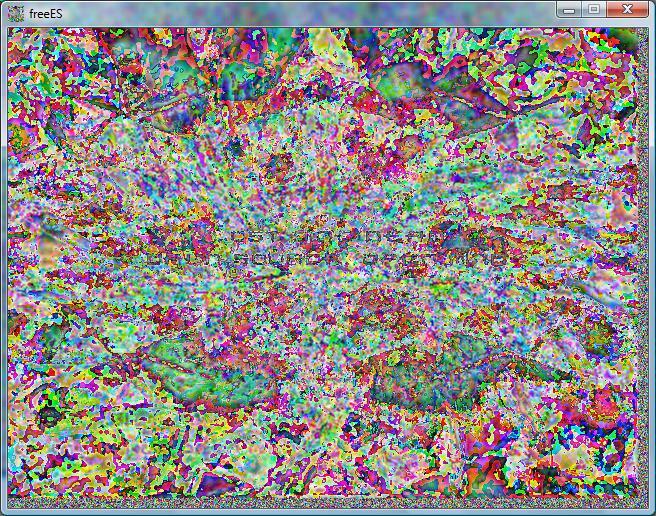 from the SVN, with all the programs bells and whistles so far. the automatic resize function that slows it to a halt. on my own stretch code, however I doubt it will ever be as fast  as sdl-stretch. or fix whatever problems are going on in the system. and a whole installation will be created for you from the files you just compiled. MXL is so new ( i just made it up a few days ago ) that it cant really be used for much. However I am going to keep working on it. 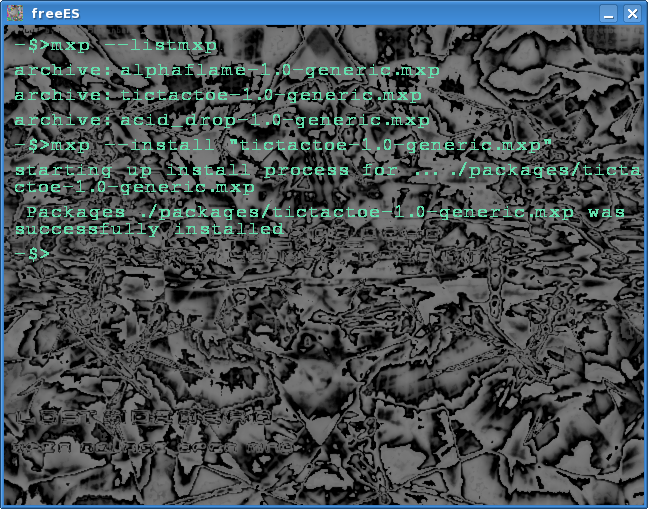 Also im working towards using proper automake and autoconf compilation of the librarys versus -shared. New game demo released, roadkill2 its on the svn and in the mxp directory. all the garbage from original version was stripped. Only keyboard is supported right now. 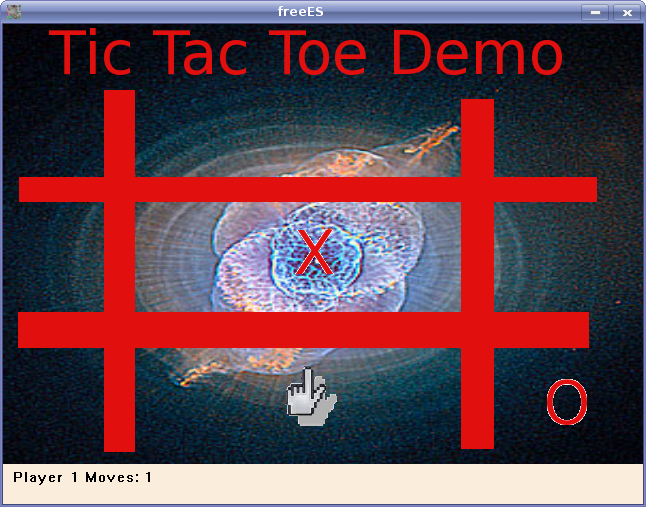 pretty lame demo if you ask me. Yet it shows how freeES can be used, and its code shows how to port exisiting SDL applications to freeES. save the file roadkill2-0.1-generic.mxp to the packages directory located in your freeES directory. Then run the Package manager from within the dashboard to install and uninstall the package. A New platform is now officaly supported on the freeES, it is the Playstation 3. If you are having trouble with linking issues, try building the program with this build script .. The Playstation 3 SixAxis Controller is supported, if in USB mode. Update to 0.3 new features added like exec a plugin without using the dashboard instead from the command line. The --exec flag for use when calling the freeES executable. 0.3 mxp-i now manages menu information, install data, and can do more than just add programs it can remove them as well. When the packages are installed it builds a tiny registry to store the data for each package installed. There are more packages available now, and I will try to create more as soon as I get free time. You can add these packages to your installation using the mxp-i (MX Package Installer) using the command line. Soon there will be a visual package manager included with the dashboard. - New mxf font's, more detailed or use freetype. first go to the directory of where you installed freeES in command prompt. ethier yes or no, yes means run in fullscreen. Player 1 defualts to use the keyboard if no joystick is connected. Arrow keys A, and S, etc. If you already know how to use mxp-i you can skip this. You have to ways to install freeES. You can ethier unpack the stage MXP's. Or you can use the included batch script in the all together download to install them all at once.